Kerala Lottery Prize structure, agent commission and details of Karunya Lottery of Kerala State Lotteries listed in the prize table. Karunya Lottery is one of the most popular weekly lottery runs from the Kerala Government Lotteries department. The Karunya Lottery tickets draw held on every Saturday and the Karunya Result will be declared immediate after the draw. 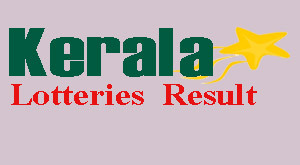 The Kerala Lottery result will be published on most of the famous news papers and online web sites. https://www.keralalotteriesresult.in website regularly publishing the Kerala Lottery Result Online for all the weekly and bumper lottery runs by the Kerala state Governement. Karunya Lottery tickets available in 10 series. The Karunya ticket series are KM, KO, KP, KS KT KU, KW, KX, KY and KZ The ticket price of Karunya lotery is Rs 40 per ticket.